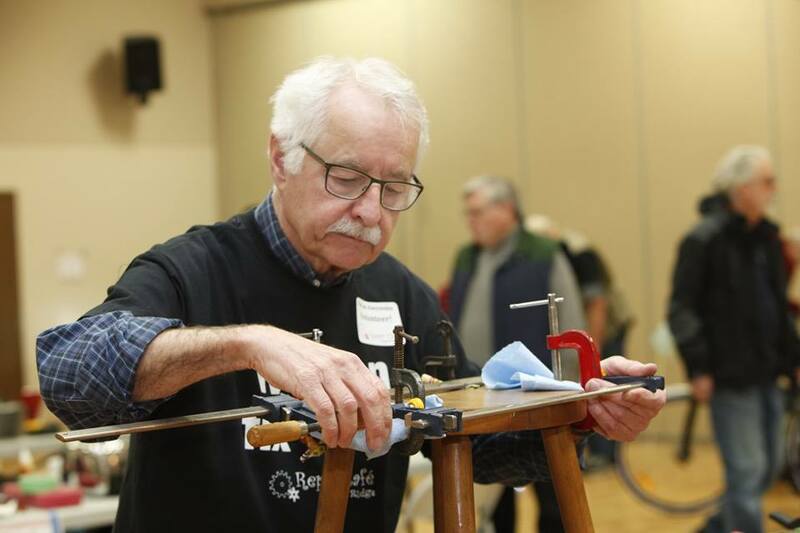 Repair Cafes Year 2 Launches Saturday, February 9! 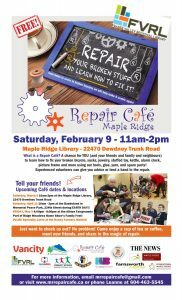 On Saturday, February 9, Ridge Meadows Recycling Society is launching their second year of Repair Cafés at the Maple Ridge Library from 11am – 2pm with funding provided by Vancity’s enviroFund grant. Repair Cafés are pop-up events where residents can bring their broken items (small appliances, jewelry, clothing, small toys or furniture, etc.) and there are tools, materials, and volunteer expert “fixers” available to help residents learn to repair their stuff! 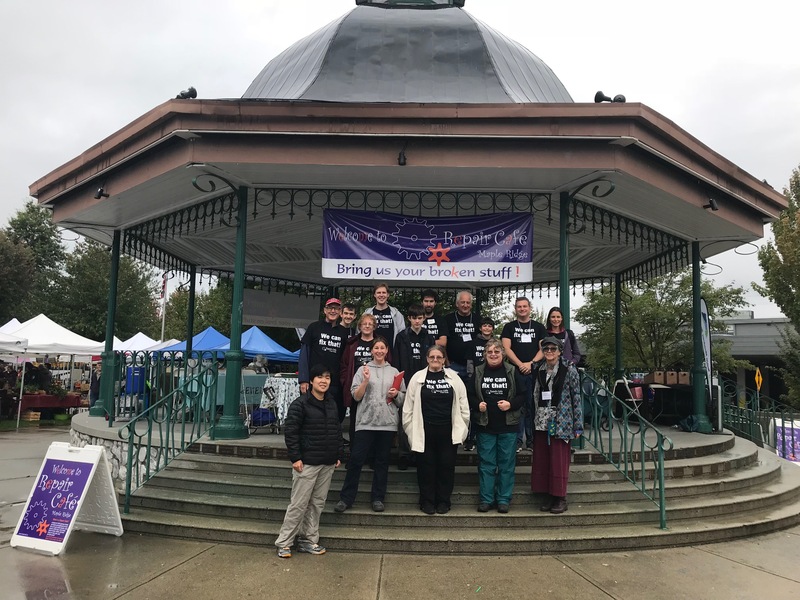 In 2018, the group held 8 Repair Cafés in 6 different venues, partnering with the Maple Ridge Library, the Ridge Meadows Seniors’ Society, the Celebrate Earth Day festival, the Haney Farmers Market, and GETI Fest. The Cafés were initiated in large part with funding from the Government of Canada’s New Horizons for Seniors program, donations from Haney Builders, and media sponsorship from the Maple Ridge Pitt Meadows NEWS. 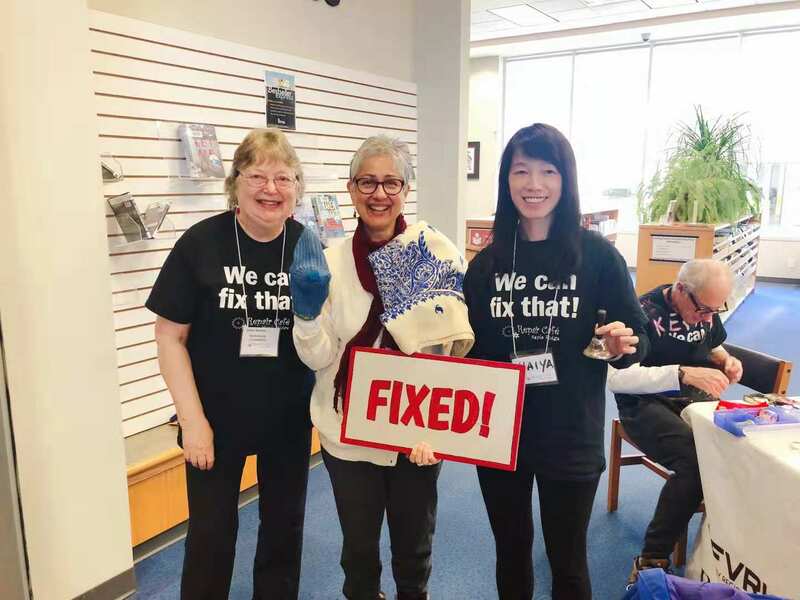 So far, the community has brought 400 items to be fixed by Maple Ridge Repair Café’s 50 volunteers, including 39 lamps, 20 clocks, 17 pairs of pants, 8 bracelets, 5 toasters, 3 stools, and a ceramic chicken! Know someone who has repair skills, wants to learn them, or just wants to help out? Send them to the online form at www.mrrepaircafe.ca or email mrrepaircafe@gmail.com to volunteer as a “Fixer” or a “Helper” and become a Repair Café hero! 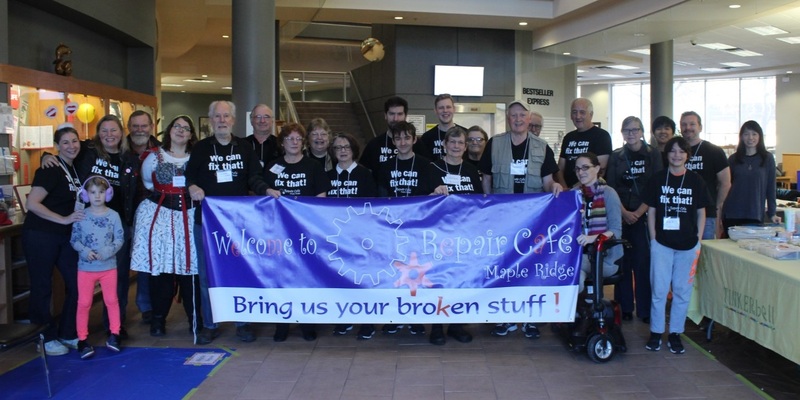 To learn more, visit www.mrrepaircafe.ca or visit the Maple Ridge Repair Café Page on Facebook, email mrrepaircafe@gmail.com or phone Leanne at 604-463-5545.